Photo courtesy of Portable Antiquities Scheme (PAS). One of the famous palindromes in the world (often wrongly attributed to Napoleon) is – Able was I ere I saw Elba; a sentence with a historical context. Well this time around, researchers have identified an ancient palindrome with both historical and ‘love’ context. This palindrome in question is Roman in origin, and was found engraved on a 1800-year old brooch discovered on the Isle of Wight, United Kingdom. This period certainly conforms to the extensive reach of the Roman Empire in Britain (for more details on ‘Romans’ living in Britain, take a gander at this article). But more importantly in this case, it also confirms how the ancients seemingly had a thing for wordplay. To that end, the brooch is engraved with the stylized letters ‘RMA’. Now when viewed from the default side, RMA form a monogram for ‘Roma’. Roma refers to both the city and its deity Dea Roma. But if RMA is read from right to left (or the brooch is viewed from the opposite side), the letters give way to a monogram for ‘Amor’, the Latin name for Cupid, the god of love. So basically the phrase pertains to Roma-Amor, a widely recognized palindrome espousing Roman wordplay in the ancient times. Interestingly, the researchers have hypothesized that there was possibly a second brooch that had the monogram for the word ‘Mars’. So when the two brooches were placed together, the entire phrase might have had a double meaning – ‘Rome city of Mars’ or ‘Rome beloved of Mars’. Such a veiled phrase was probably directed at confusing other people, and “thus deflect the risk of ill-fortune directed by a malign gaze” (as the researchers wrote). 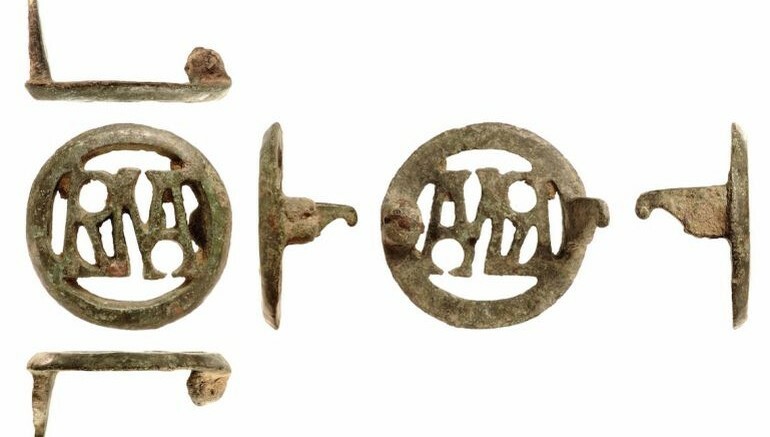 As for more details on the actual owner of this perplexing palindrome ‘infused’ brooch, the researchers think that the artifact (used as an attachment to a tunic or cloak) most probably belonged to a Roman soldier or even a veteran. In fact, similar brooch types have been found in Roman military garrisons speckled across Germany and Eastern Europe. 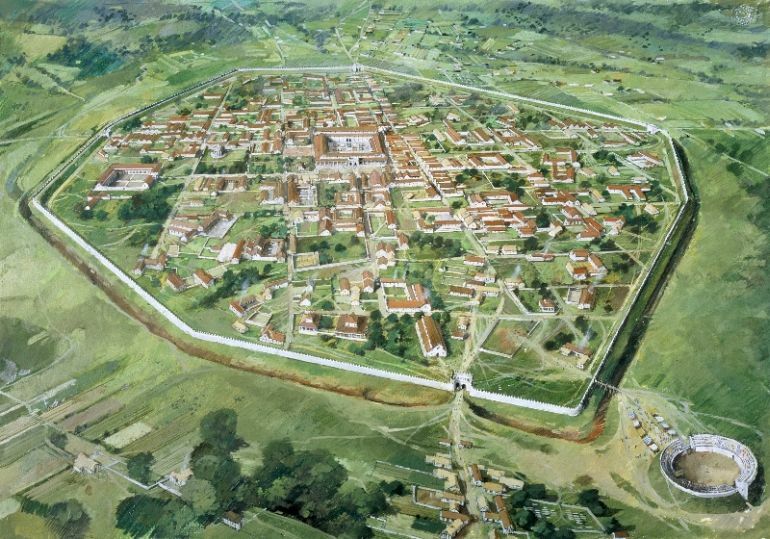 And while archaeologists have still not found any evidence of a garrison on the Isle of Wight, it is entirely possible that the Roman soldiers reached the point and perhaps even settled there. Now lastly, while the brooch and its ancient palindrome tickles our romantic fancy, there is a small hassle in actually procuring the artifact for public display in a museum. That is because the ancient object was originally discovered by an amateur with a metal detector in 2015 (like in the case of the Roman Cupid Ring, also found last year). And so it is still not known if this said person would donate his fascinating find to a museum. The discovery was reported to the Portable Antiquities Scheme (PAS).